The Maple stands majestically in the heart of the bustling city, yet it feels like it is worlds away. That's because it is set with 35 acres of lush parkland and lakes. You and your family get to enjoy a host of activities like camping, tree climbing, outdoor movies, even concerts in this rare city green lung the size of KLCC Park. 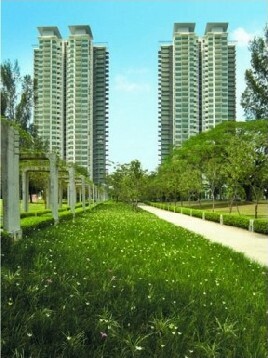 Living in the midst of such vast and luxuriant greenery, "rise and shine" is more than just a phrase. It sets the right tone for the rest of your day, and indeed, all of life itself. As Frank Lloyd Wright said, "Study nature, love nature, stay close to nature. It will never fail you."